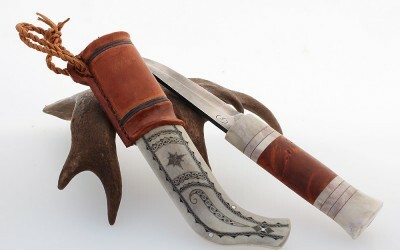 A knife I have made for a friend of mine to be used in his Daily work with the reindeers. 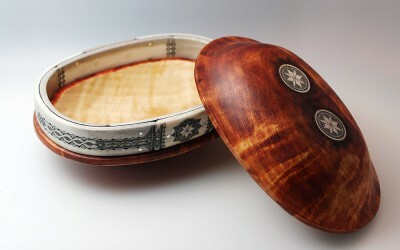 It is a very classic sami design with a modern twist. 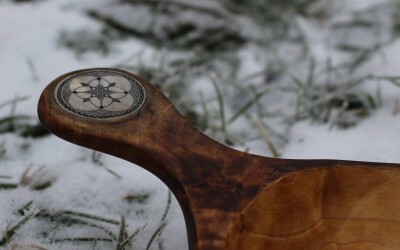 It is what many would consider the best knife for the outdoors. A wrapped box made of antler and birch Wood. Its a big project and the first problem is to find good enough antler to make it. It is around 17×13 cm. 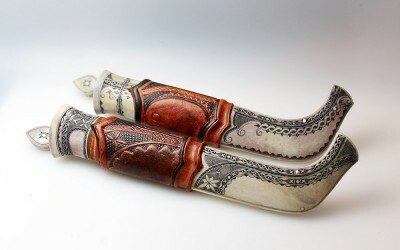 Two knives with a modern design. 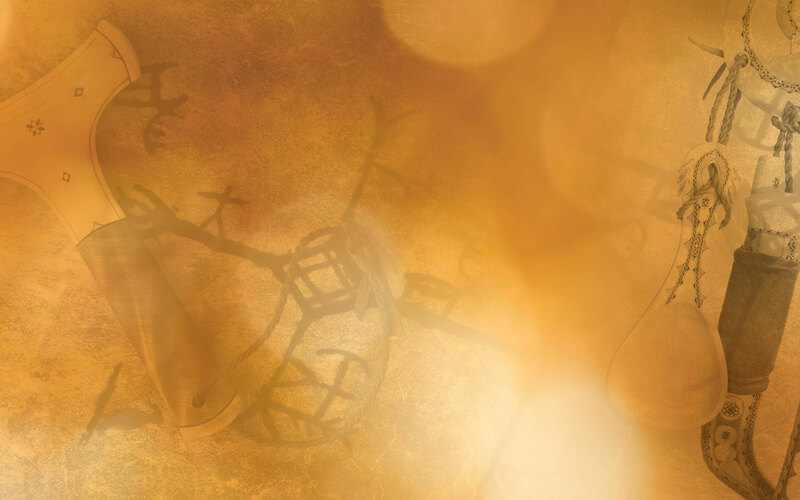 The leather work is inspired by Sami engravings and makes the leather into a harmonious continuation of the engraved antler. 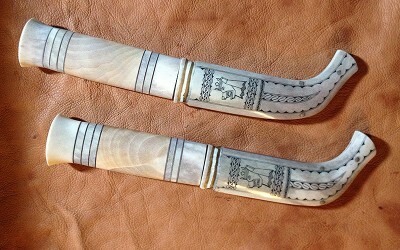 The knives where on exhibition at the market in Jokkmokk 2015. Kåsa made to a friend for daily use. Nice feeling when you know that some handicrafts will be used.